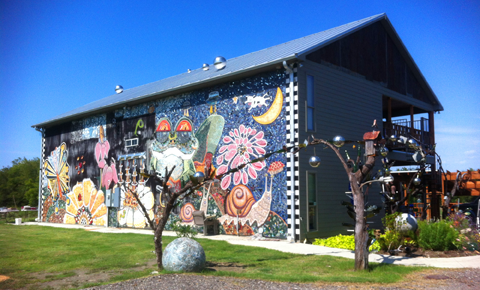 In honor of Mother’s Day, Barbara Dybala, will open her mosaic studio and grounds for touring on Sunday, May 11, 2014. The gate will be open from 2 p.m. to 6 p.m. For more details and contact information, please see the flyer. Earth Day 2014 is today, Tuesday April 22. 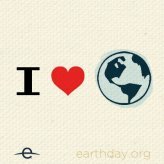 Would you like to do something to celebrate Earth Day, but you are not really sure what to do? Here are five easy ways to say “thank you” to our earth! 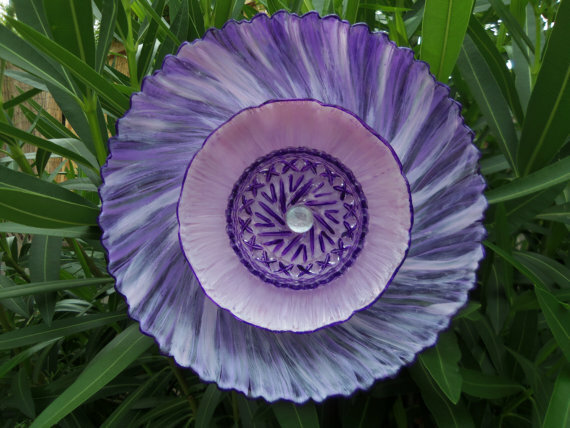 Seed Savers Exchange – Check It Out! Would you like to help conserve and promote America’s culturally diverse but endangered garden and food crop heritage for future generations? Check out Seed Savers Exchange for information on how to collect, grow and share heirloom seeds and plants. 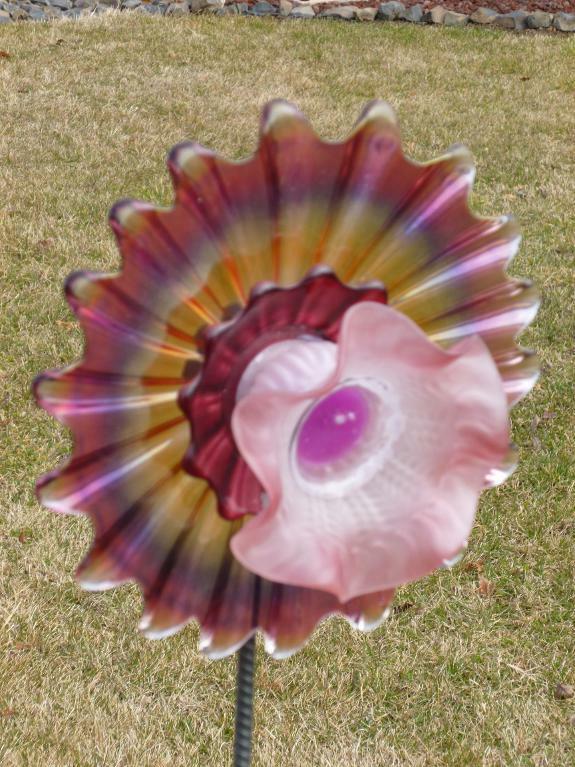 For our project for June Summer Symposium, (Tuesday, June 10) we will create “Poor Woman’s Chihuly Glass Flowers” for our gardens and flower beds. 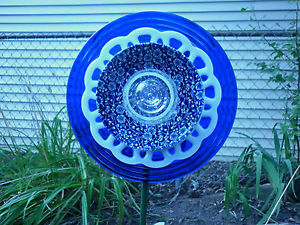 We will “repurpose” glass plates, bowls, saucers, candy dishes, ash trays, votives and other candle holders, etc. 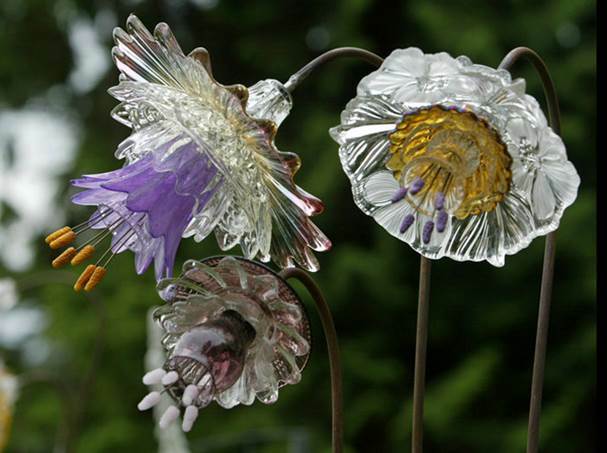 to make pretty glass flowers. 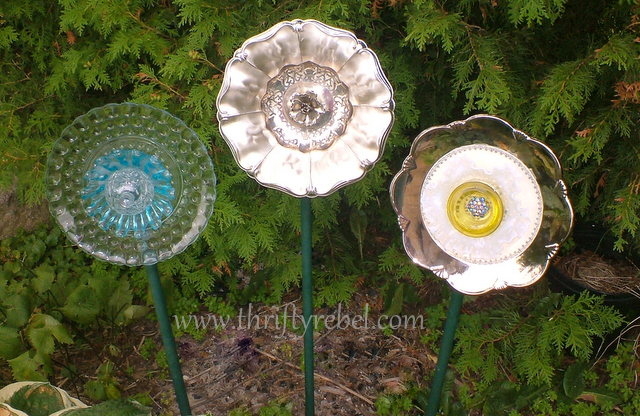 Be on the lookout for glass or china pieces that you can use to make beautiful glass flowers. 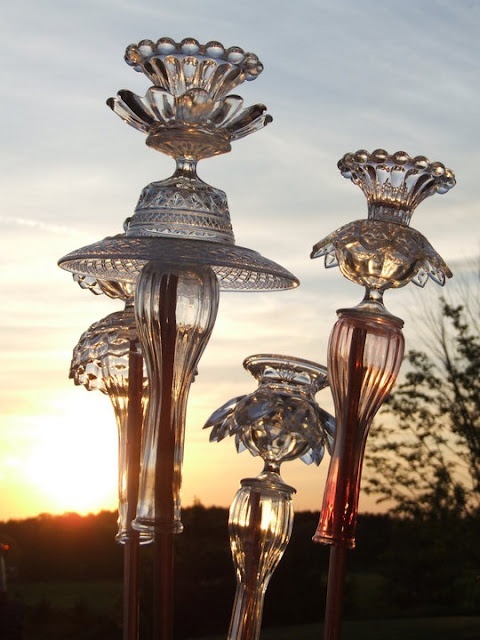 You can find some great pieces at thrift stores and yard sales – or heck, even your own china cabinet! 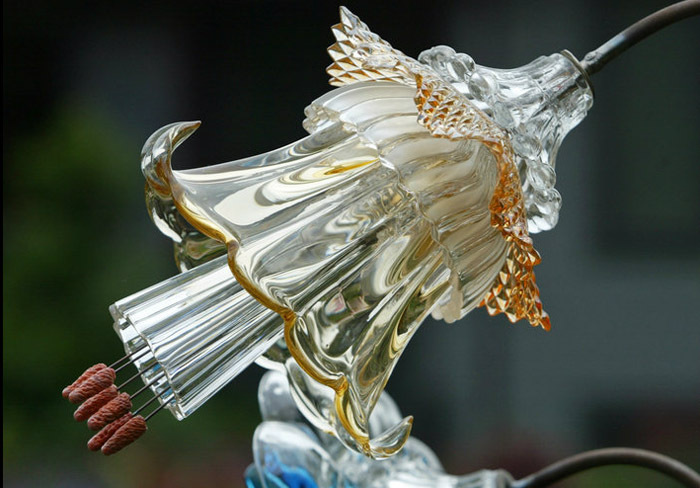 The photos that are shown here will help you see what kinds of glass and china items will make pretty flowers. 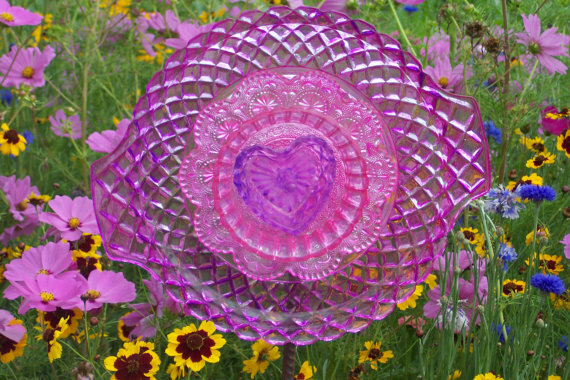 Clear colored glass with “petal-like” edges are perfect to use – but hard to find! 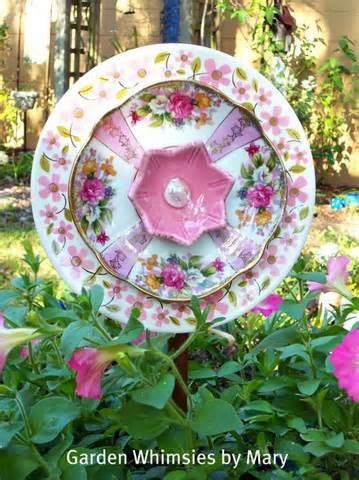 Deviled Egg plates work great! 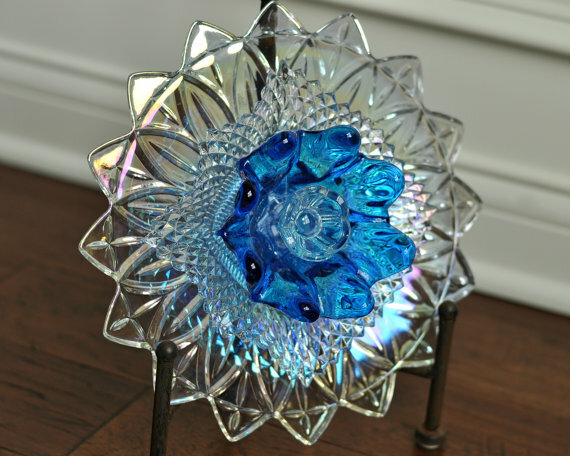 Clear glass looks great by itself or could be painted with a glass paint (such as Martha Stewart’s Transparent Glass paint you can find at Michael’s). 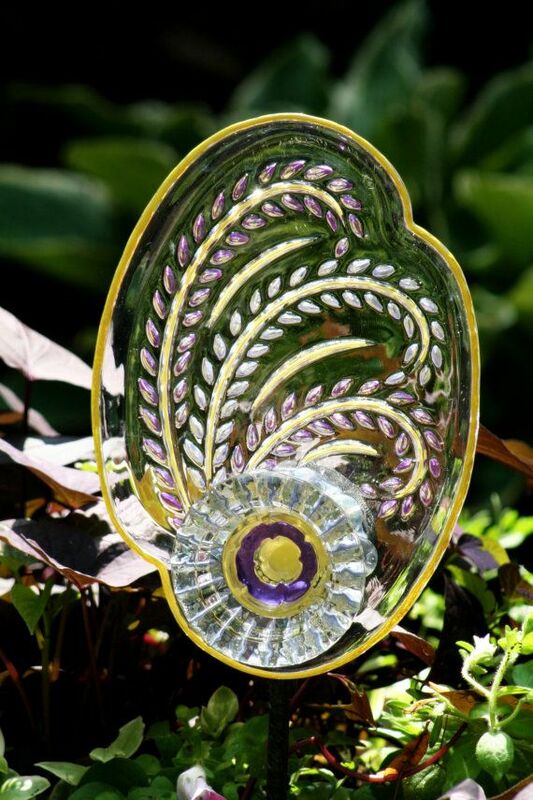 We can add some color by gluing glass “gems” to the plates. 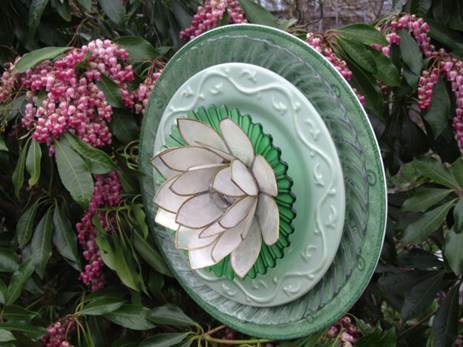 Even opaque china plates can be used – with clear glass or by itself. 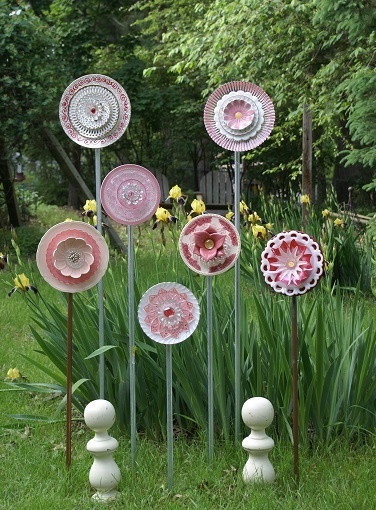 We made a few “flowers” using plastic plates and bowls and cups. We are “experimenting” to see how well they will hold up to being outdoors, but, so far, they look good. Look at the photos and get some ideas. You are limited only by your own imagination. 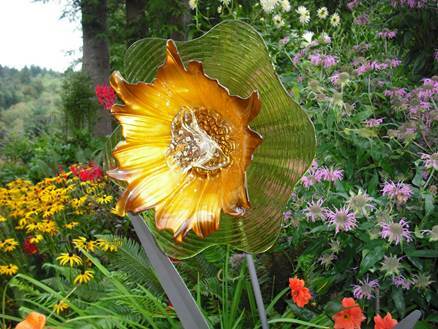 Your “flower” could use 6 or 7 pieces of glass or china – or it might use just two pieces. 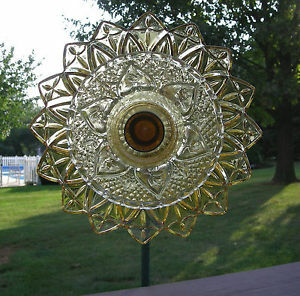 Happy shopping for great glass items. (It is fun to shop in thrift stores!) 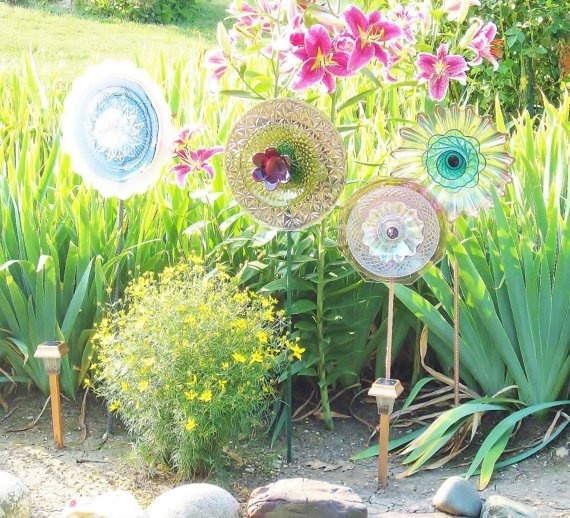 We can’t wait to see what beautiful flowers you will create. p.s. 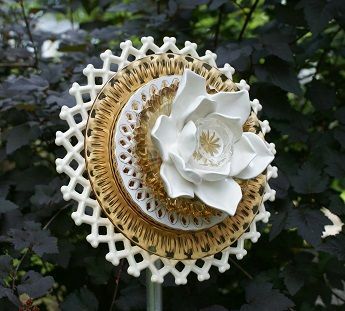 These flowers sell at craft shows and the Internet for $30 to $90 !! SGC Arbor Day Celebration – 4/17/14 – 10 a.m. Since 1972, when J. Sterling Morton proposed a day be set aside for the planting of trees – Arbor Day has been celebrated. 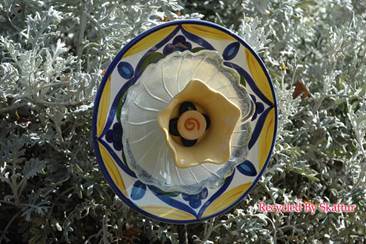 The Sunnyvale Garden Club Arbor Day celebration will be on Thursday, April 17 at 10:00 am behind the Sunnyvale High School. The tree is already planted – a Bur Oak. It was planted in December so it would have a good start on establishing roots before the heat of the summer. 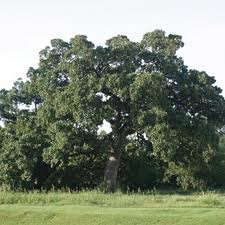 The Bur Oak can grow to 60’ tall and 45’ wide. It will shade the backside (East) of the school building in years to come. Please come and celebrate the importance of trees in our lives – April 17, 10:00 am. When: Wednesday, April 16, 2014, 8 a.m. to 3 p.m.
Where: North Lake College,5001 N. MacArthur Blvd., Irving, TX 75038Wednesday, April 16, 2014, 8 a.m. to 3 p.m.
At the DCCCD Sustainability Summit, you’ll learn ways to live sustainably that can last beyond seven generations. 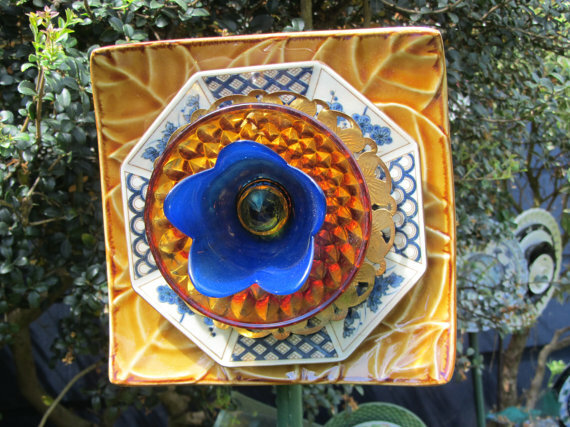 Sunnyvale Garden Club Meeting – 4/08/14 – 10:00 a.m.
Our next Garden Club meeting is Tuesday, April 08, starting at 10:00 a.m. in the “Cafetorium” of the old Sunnyvale Elementary School located at 417 E. Tripp Rd. We will celebrate Arbor Day with our program speaker, Steve Houser. 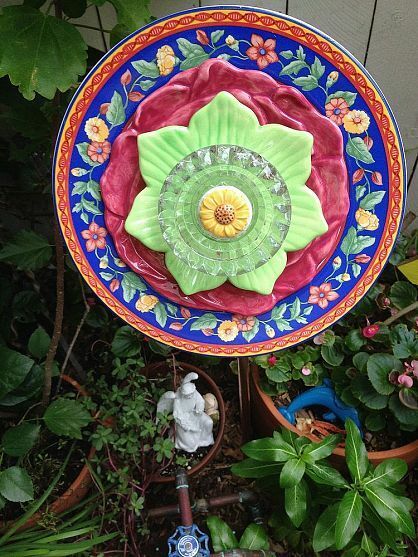 Steve is a Dallas County Master Gardener and certified Arborist who is well known in the Dallas area. Here’s a link to an article he wrote for Neil Sperry: http://neilsperry.com/2013/12/certified-arborists-view-storm/ . You may want to ask Steve about trees in your own yard. Brunch – The hostesses will be serving brunch before the meeting, so don’t eat your breakfast before you come to the meeting! 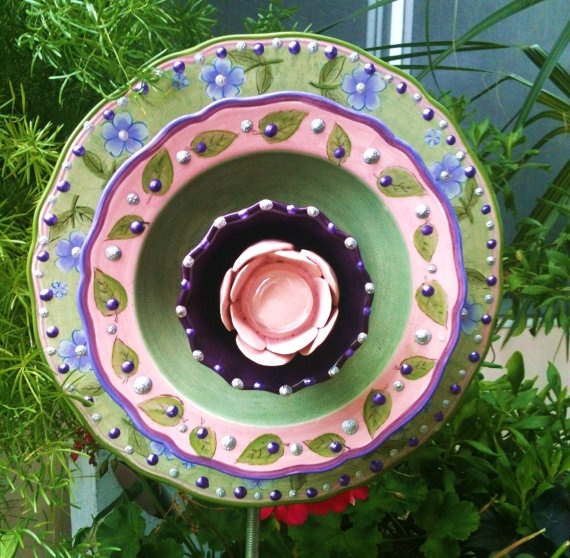 Plant Exchange – Bring one or more plants to exchange with other members (one your have grown and bought). Sharing Life Basket – The basket will be passed around for donations. Membership Renewal – It is time to renew your membership for next year. Be prepared to pay your $35.00 dues.